For optimal moisture control. Absorbing and Protecting! The new DryDent Parotid introduces new features for controlling saliva produced by the parotid glands. DryDent Parotid is placed directly over the open ducts of the parotid gland where saliva is optimally absorbed, allowing for dryer working areas. Its super absorbent foam material traps unwanted moisture, facilitating dryer fields for impressiontaking, cementing and filling procedures. 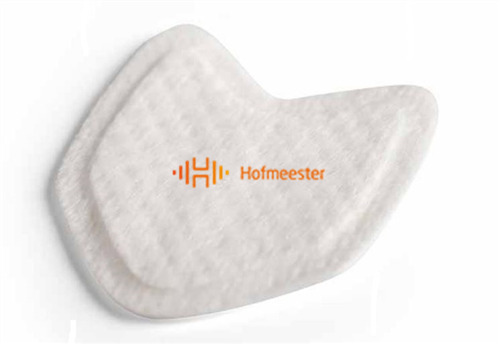 DryDent Parotid's super absorbent capacity keeps moisture control even when it is fully saturated and it is made of smooth soft materials that provide maximum patient comfort throughout any treatment. Available in Large and Small packages of 50 pieces.